Conran and Partners project director Tina Norden has been designing hotels and hospitality spaces around the world for some 18 years, and understands first-hand the exciting cultural shift that hotels are experiencing, not only from the perspective of a designer but also as a guest, always choosing to stay in the most interesting hotels in her varied destinations for both business and pleasure. She was the lead designer for the boutique art hotel South Place in London, and is currently overseeing the design of two Park Hyatt Hotels, in Jakarta and Auckland, a city hotel in the edgy Bomonti district of Istanbul and a boutique hotel refurbishment in Prague. 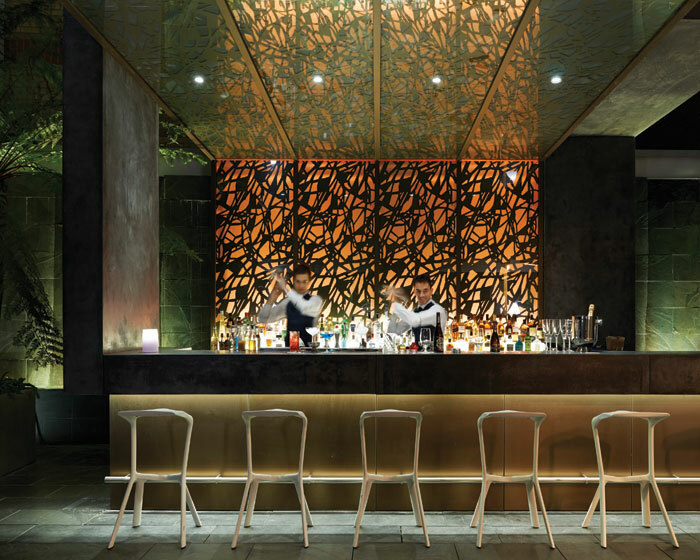 As she wrote her five key issues in hotel design for FX, she was flying back from Dubai having overseen the opening of a new destination restaurant at the Grosvenor House Hotel. Here she outlines her thoughts. Hotels are a big part of my life. In the past year, I must have stayed in 20 around the world, while working on the design of new ones at the same time. Apart from frequent business trips, travelling is also one of my favourite pastimes and we try and get away as much as we can to explore the world. No surprise then that hotels occupy a lot of my thoughts and time – and I still find them completely fascinating and ever evolving, in particular, in recent years. Just talk to hotel staff and you will be amazed at what goes on behind the scenes in these establishments. I am not a fan of ‘trends’ in design – they are too transient for a sector that usually takes years to go from design to implementation – but there are most definitely a number of common threads that run through the industry, and I have tried to distil this into five overriding themes. What is a hotel? This used to be a very easy question to answer, but in the age of Airbnb, homestays and concept hotels the definition is not as straightforward anymore. But this also makes the sector very exciting again, and the challenges from non-traditional competition means hotels have to up their ante and really think about their USP. Guests today are after experiences, a sense of place and a unique angle – even widely spread chains acknowledge this by creating more varied lobby spaces with particular local angles, even if their rooms are cut-and-paste. We want to stay in places that are memorable and enjoyable – something to talk about when we return and something to inspire us as a take-away. Are we really still interested in what star rating a hotel has and if there are two armchairs in the room? Or do we want to stay in a room that delights with its thoughtful touches, and explore public areas that are far from a typical old-fashioned lobby and dining room? Exactly! Careful consideration needs to be given to the customer profile, as today’s guests are looking for the particular and not the all-encompassing. If we try to please everyone we will please none today – the more specific the viewpoint of a hotel the more likely it will have a loyal following. 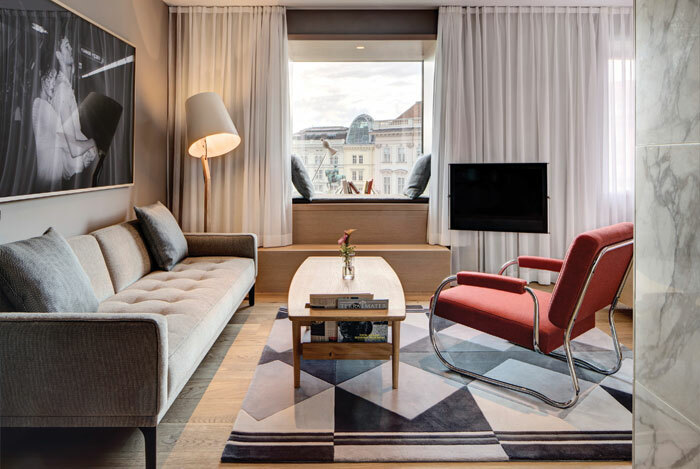 This is much more difficult for large hotels – but the likes of Puro and Citizen M show us that even with hundreds of rooms we can create an environment that has a personality. One key part of a hotel’s personality is its staff – we don’t want stiff service by the book, we want to interact with real people who are enthusiastic about looking after us as guests in the true sense of the word. Keeping the staff happy and engaged can be facilitated by the management philosophy, and in small measures by design to give staff the right and facilitating environment. The main objective for us as designers, our clients and operators is to develop a concept for a new hotel that has personality and a unique philosophy to make it special and memorable in a very crowded marketplace. 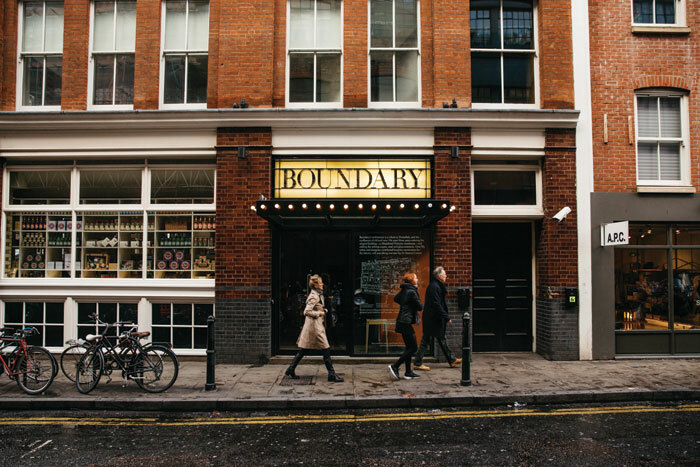 Whether that is creating a little pocket of creative East London in the City, as we did for South Place, or a neighbourhood hub in the Brasserie at the Guest House in Vienna, guests are looking for the particular. And they will recognise if a hotel is doing this wholeheartedly as part of the overall concept or just paying lip service. A true commitment to a unique identity means these places leave a mark on their guests and enjoy a high level of repeat business. Work and play are no longer as distinctly separate as they once were. Hotels now rarely aim to be just a business hotel; the definitions are often more along the lines of social tribes and the type of experiences guests seek from their environments. We travel more and we do business in unexpected places, with much more requirement for flexibility. Even when we are not travelling for business we want to be able to tap into our e-mails, connect with contacts or get in touch with the office. 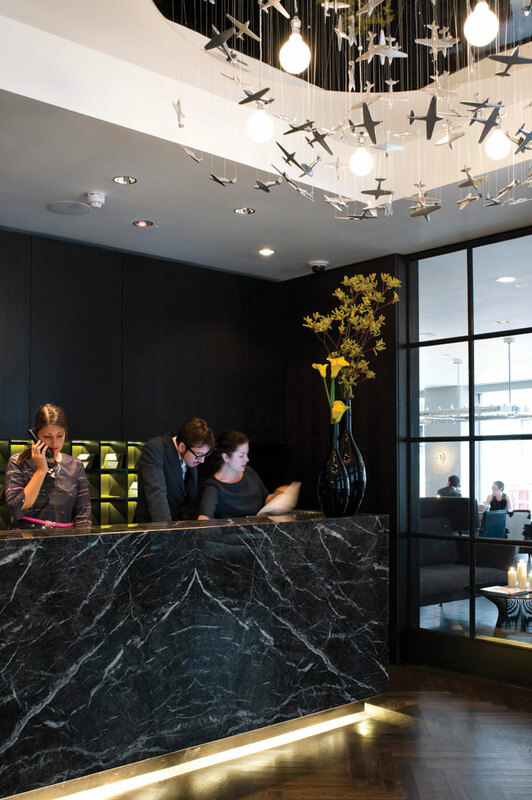 Hotels become part of the work environment both for in-house and local guests who use the facilities as an extension to their real or virtual office – much like the new generation of shared work spaces that are almost like boutique hotels, but without bedrooms. The Ace Hotel lobby in New York broke that ground for the industry, and today many hotel lobbies are filled with guests happily tapping away on the free wifi. Thinking about your guest profile also means thinking about what these types of guests may want to do in their hotel. Thoughtful engagement with the needs of target customers will create a place that almost preempts their desires and allows the hotel to give a real experience. Aiming for leisure guests (important for weekend trade) may mean inclusion of a spa area; business travellers need work areas in their room or outside, and a location in a business area would suggest provisions of meeting facilities. All of our projects now provide a range of shared spaces for guests to use as an extension of their rooms, encouraging them to interact – and spend money on coffee, drinks or food while doing so. 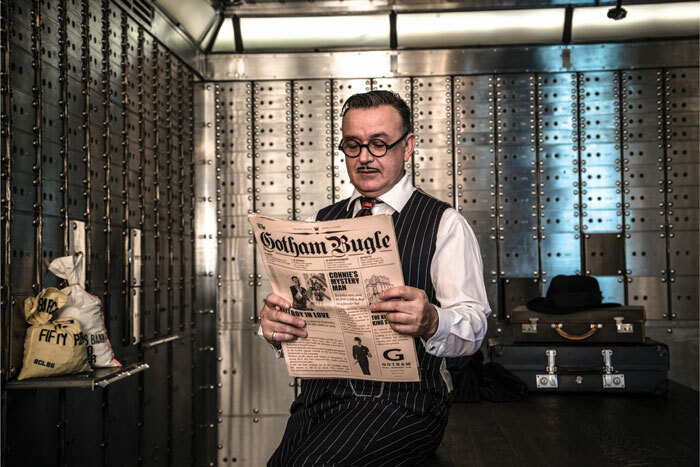 South Place has a number of individually designed rooms for meeting and dining, named after spies as there was a Second World War spy ring close by. They are always booked out by local companies as they are way more fun than their own. And they get freshly baked cookies with good coffee as part of the mix. Both public and private areas in a hotel now blend a range of activities together that is both an opportunity and a challenge. Interestingly for us as designers, these spaces are now completely multifunctional: guests will work in the bar and drink in the library, giving us a lot of scope for creativity and for exploring new ideas. This requires innovative solutions and the provision of spaces for meeting, playing and working, which inevitably result in new and creative ideas. Thankfully for a technophobe like myself, the focus has changed from technology being the main event to it being there behind the scenes as a facilitator. Where there used to be complicated room controls, we are now being asked for simplicity, even physical ‘old-school’ switches that are intuitive and easy to use. There may well be a complicated system for sustainability and control behind it all, but what we use and interact with has the simplicity of our beloved smart phone – or even a classic phone receiver. We expect technology to be present and functioning without fail, so there is little patience for bad wifi reception, trying to find the all-off switch and a poor selection of TV channels. Clearly a huge force bringing life and activity to a hotel is the food offer. Be it casual local street-food or fine dining, hoteliers are waking up to the fact that food means business and, importantly, not just for the guests sleeping in the hotel. We have designed more than 100 bars and restaurants, many of which are in hotels. 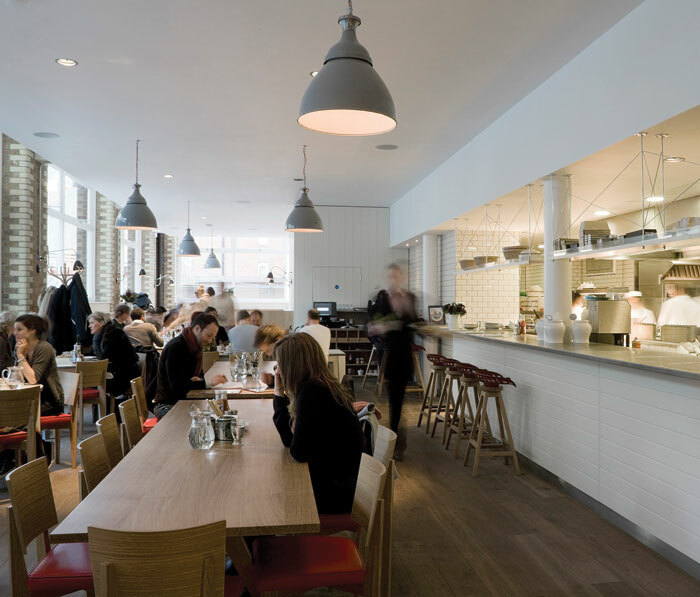 What we have noticed over the past years is the emphasis on creating F&B spaces with their own identity, that stand up in a creative and ever changing restaurant market. Asia has long looked to hotels to provide innovative and high-quality dining experiences and this is coming to the West now, with many hotels developing unique offerings for guests and their local community. This is great fun for us as designers and allows us to create engaging concepts based around the food offer, local culture and experience for the guest. The trick is to ensure these spaces blend together seamlessly and create a story for the hotel as a whole rather than being a separate entity – and animate the public areas to create a buzzy environment that people want to be in. The Joule in Dallas is a great example of this, with a number of restaurants, a cool cafe, concept shop and a Taschen library all forming part of the lobby areas that we happily spent most of an afternoon exploring. Our Boundary has the great Albion cafe and food shop on the ground floor that has become part of the local community and sends tweets to local followers when the fresh buns come out of the oven. Mixing everyday pleasures and the residents and workers surrounding it into a hotel stay in this way makes the guests feel part of the community, which is absolutely key for many travellers today. Ultimately hotels sell rooms – that is how they make most of their money, even if F&B is starting to pull in the pounds – and the efforts to provide amazing public spaces are driven by making the rooms attractive to guests. So, are there any new trends of note in guest-room design? For a while there was a lot of gimmickry and maybe too much drive to innovate. Guest rooms are like condensed versions of a dwelling. There are certain things a guest room has to have (bed, bathroom, seat, storage) and making these too different and ‘innovative’ is more annoying than pleasant. As a result a lot of hotel designers (rightly) opt to experiment in public areas that are more transient and public and leave the guest rooms as a safe haven for the guest. For me, guest-room innovation is more about making the experience pleasurable, easier, and simpler rather than trying to be too clever. Innovation is best left to new technology, sanitary or brassware innovation, lighting and construction technology, leaving the core components of human experience and requirements simple and user friendly. What we do see is a real drive for guest rooms that reflect their location and provide a sense of place. Frequent travellers know the feeling when they wake up and have no clue where in the world they are – and the very nice but completely generic room design doesn’t help. Theming is not the answer – that soon gets overbearing. 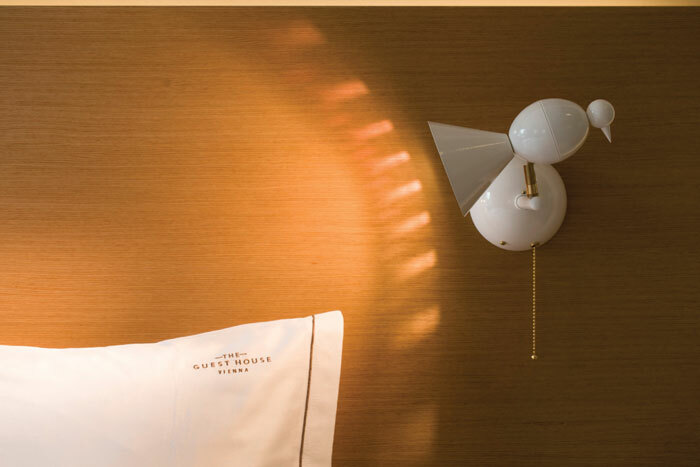 But a story that is told through materials, craft, books, even items in the mini bar, reminds us where we are and can continue the story the hotel is aiming to tell its guests. This leads back to the first point about personality and a unique selling point – which really is the overall point of all the above. As designers and operators we are now aiming to create experiences that are tailored to a very specific market and viewpoint. Guests are choosing to stay in an Airbnb because they seek a unique and local experience, because they want to get under the skin of a place. They want to live in a city and be a local for a short while without formality and overbearing (or just bad) service – whether they only have a little time around business meetings or are on holiday. If a hotel can provide this kind of environment but better – because you can call for a hot meal at any time, have your bed made and room cleaned daily and get some top tips from engaging local staff – we are on to a winner. A Grade-II listed former bank has won accolades including ‘coolest boutique hotel’. Now the Hotel Gotham in Manchester’s King Street, was designed by Edwin Lutyens in 1928, with construction finishing in 1935. 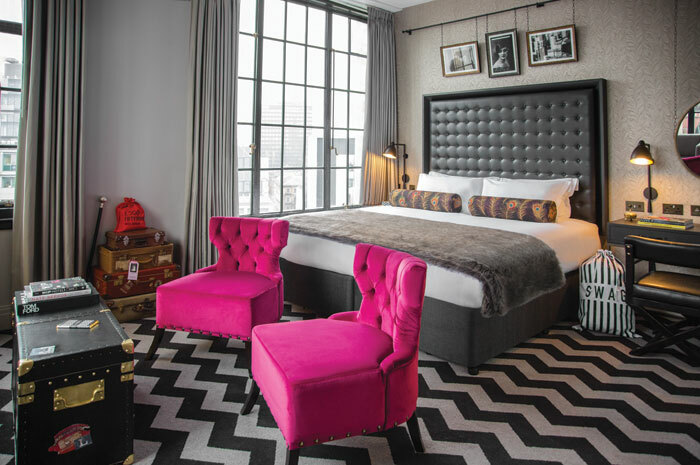 The design of the ‘new’ 60 guestroom hotel by Squid-Inc heavily references the pre-war period and the building’s former role, seen for example in the bespoke geometric carpets running throughout the corridors and bedrooms. The guest rooms, with views over Manchester, feature travel-trunk-style cocktail cabinets and wardrobes. Burnished metals are teamed with dark polished wood and leather, while soft velvet and faux fur are used liberally. References are made to its banking past with ‘swag’-style laundry bags and ‘ingot’ toiletry displays. Other touches include restaurant server counters based on period filing cabinets in zinc, wood and marble and finished with brass bank-vault mesh. An illuminated staircase in steel and brass – inspired by bank vaults of old – leads via safe doors to the rooftop Brass Club, another money reference. Its walls clad in geometric tin-tiled walls provide the perfect backdrop to leather booths and cutglass decanter lights.